Currently KTM Farm is producing hard red spring wheat, corn, soybeans and sugar beets. Brushvale Grain Inc. has a storage capacity of 3.2 million bushels of grain. The facility has capabilities of receiving grain by truck, for drying and for shipping grain by truck or rail in up to 54 cars at a time. 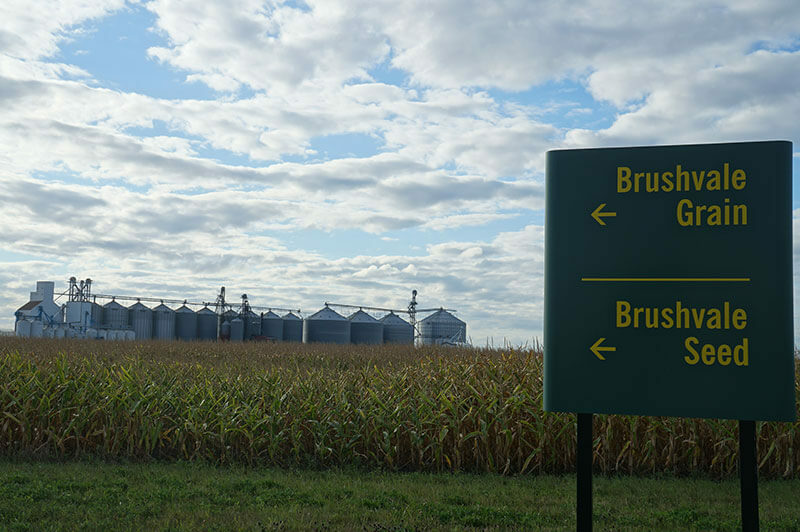 Brushvale Seed, Inc. is owned and operated by several Miller families. Brushvale Seed, Inc. is dedicated to the production and processing of identity-preserved food grade crops of world-class quality. Brushvale Seed produces soybeans, corn, and wheat in the Red River Valley of Minnesota and North Dakota for bulk or bag shipments by truck, rail or container to customers around the world. With these resources KTM Farm can produce identity preserved grain such as food grade soybeans and deliver these products to the market.